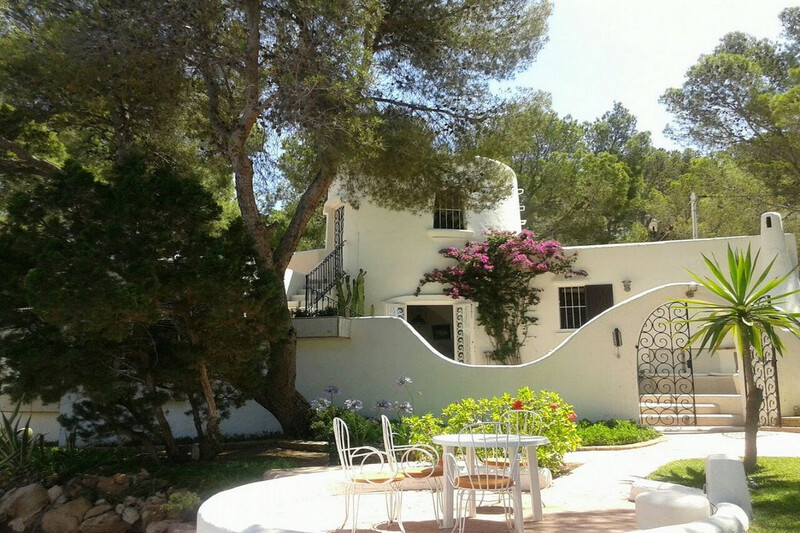 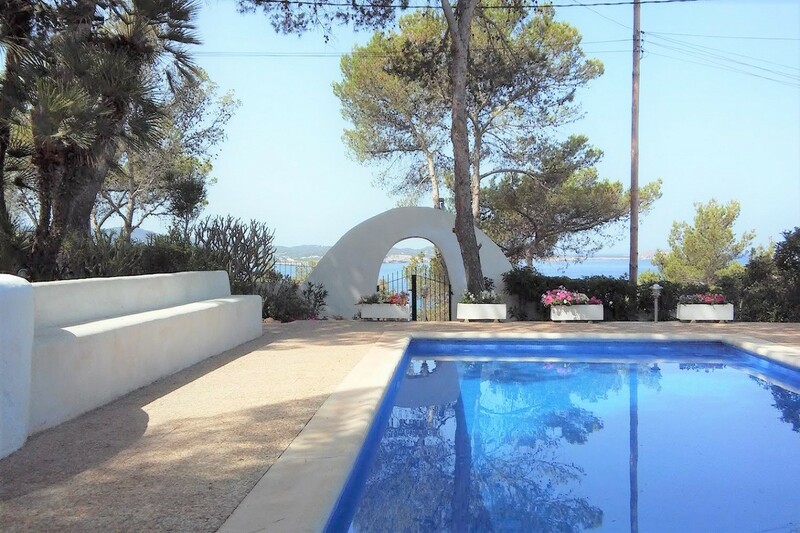 Can Gracio is a beautifully restored Ibiza beach villa, less than 1km to the nearest beach! 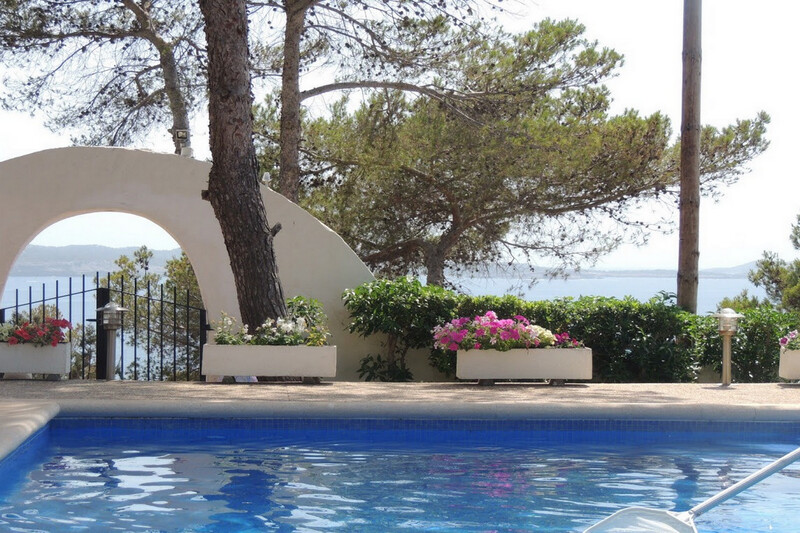 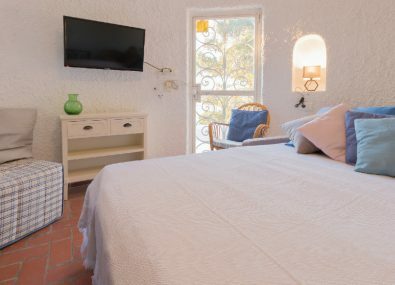 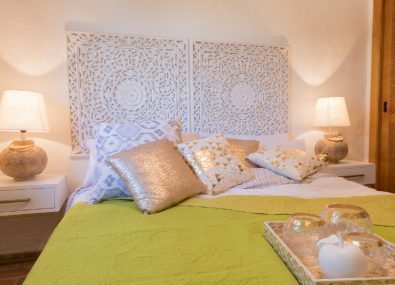 Conveniently located on the south west coast of Ibiza, offering stunning sea and sunset views. 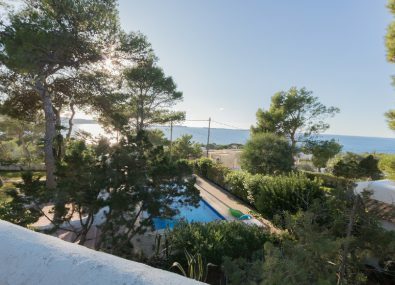 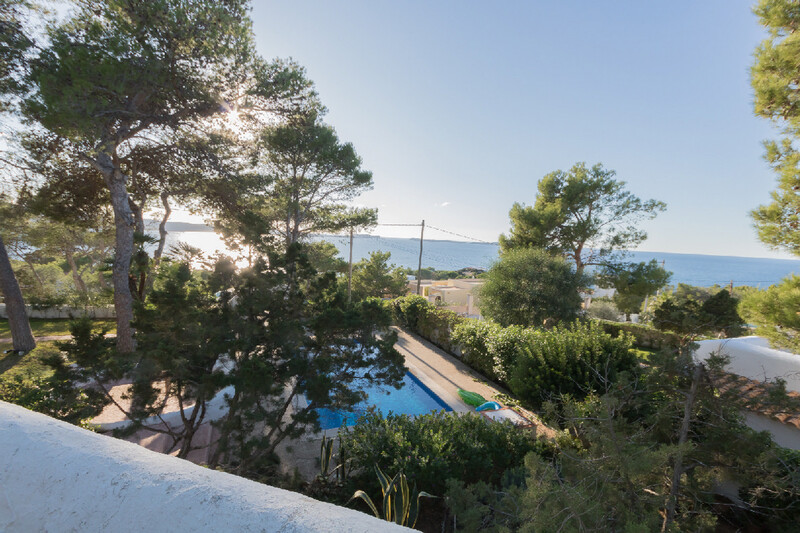 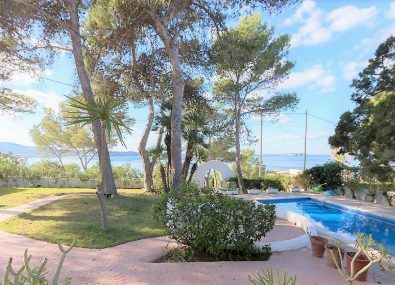 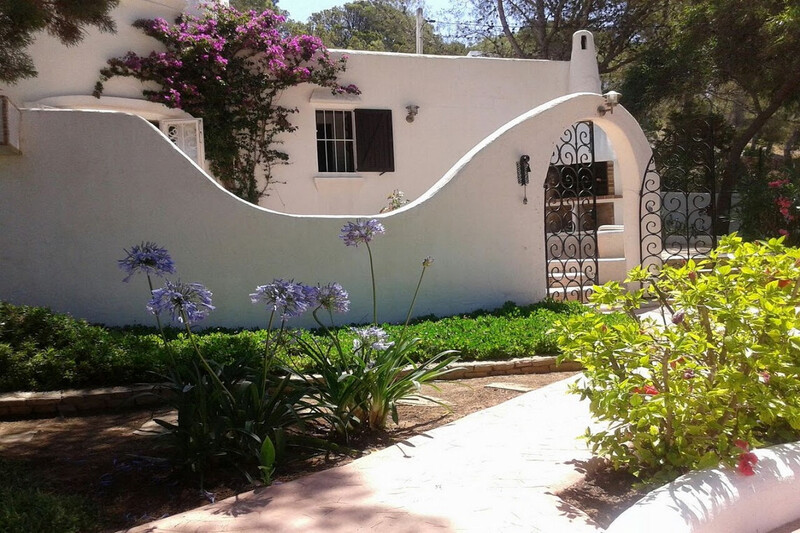 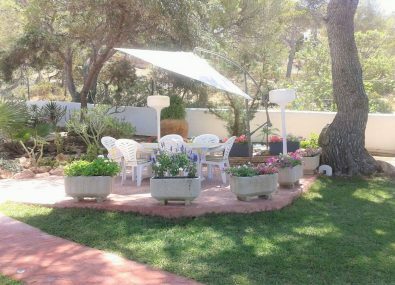 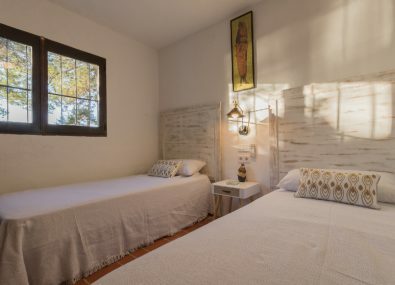 The villa is in a fabulous location, within a short walk of two beautiful Ibiza beaches, Cala Gracio with the exclusive El Chiringuito restaurant by Mambo and the smaller Cala Gracioneta, also with a beach restaurant. 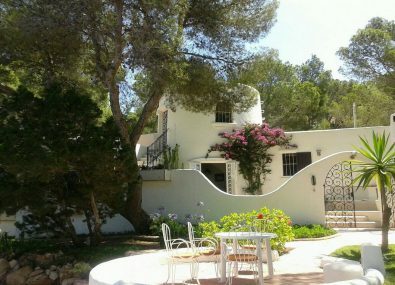 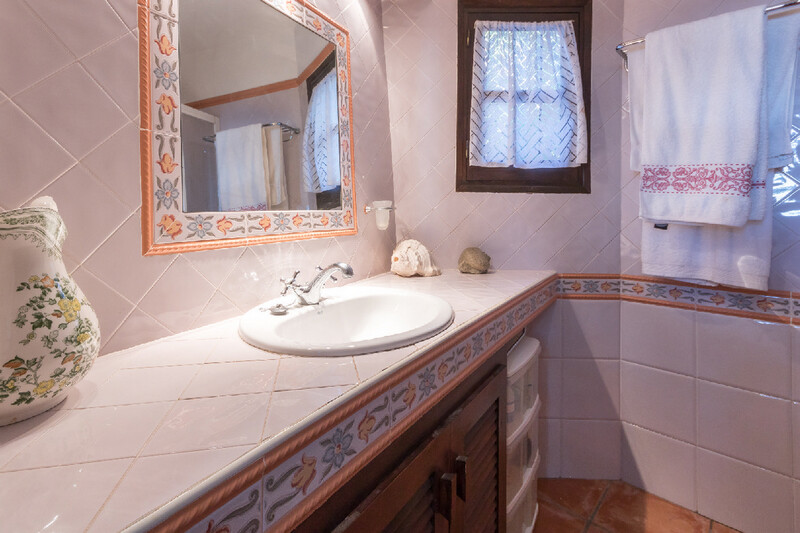 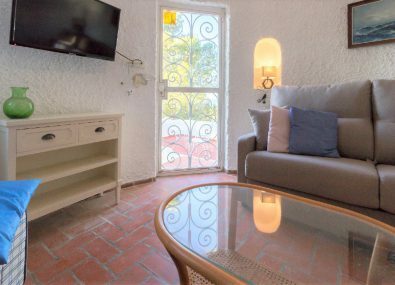 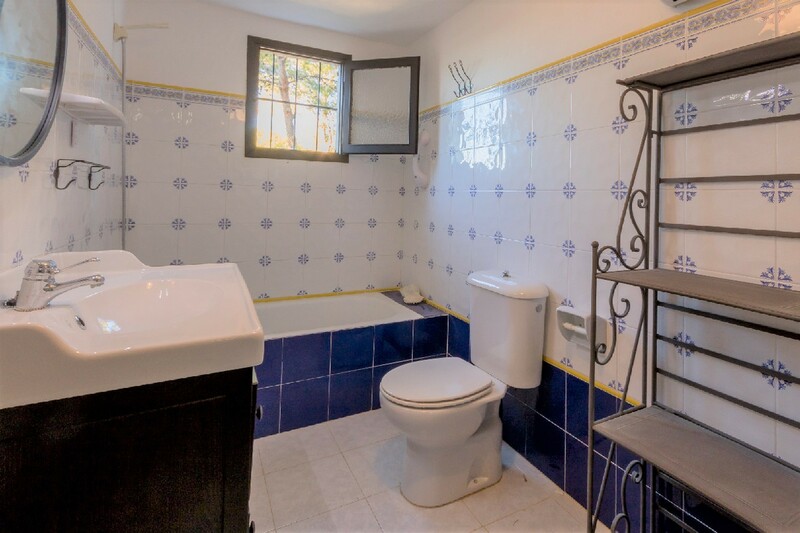 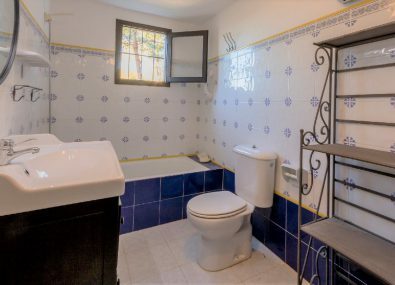 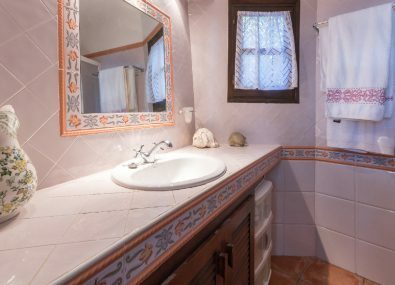 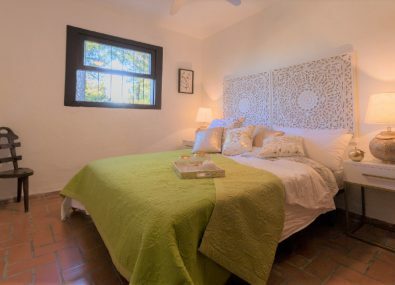 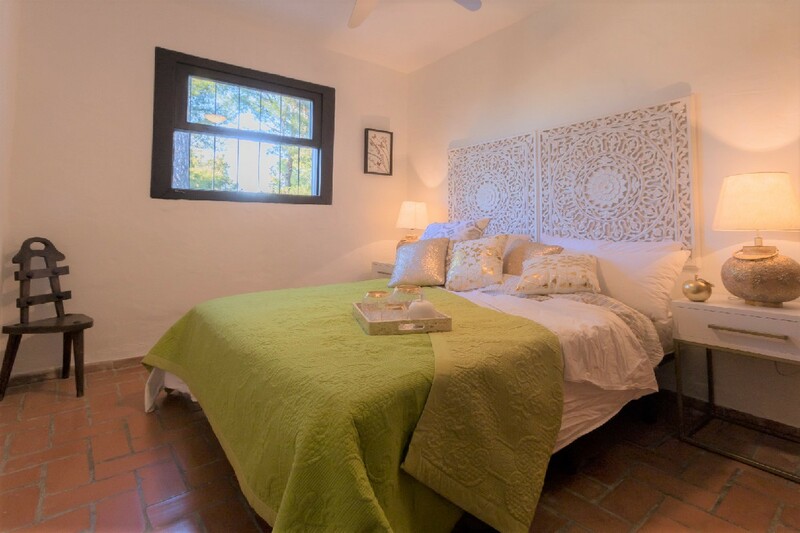 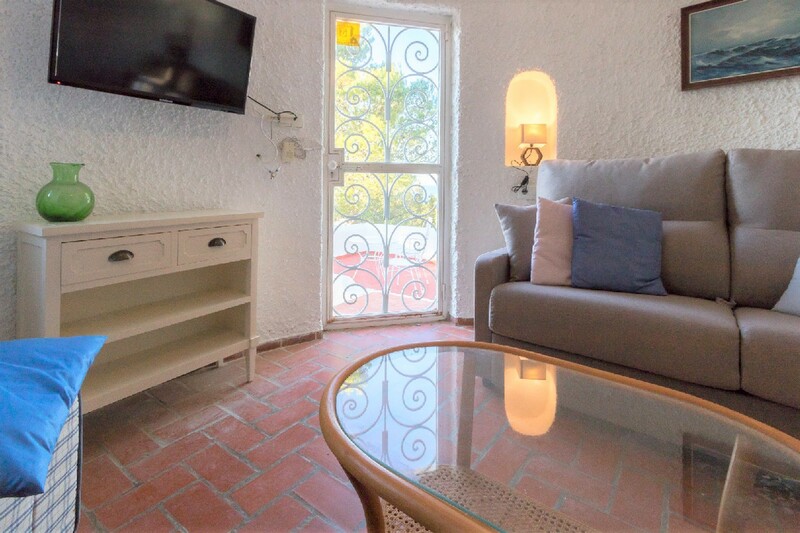 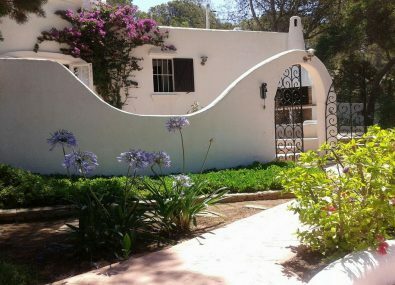 Recently renovated, retaining the original features, this stylish villa has three double bedrooms and two bathrooms. 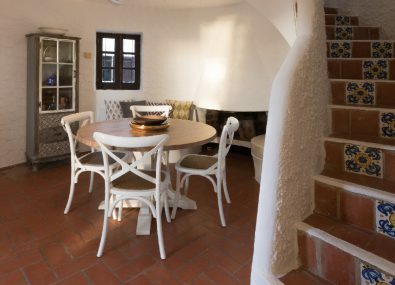 On the top floor, via a spiral staircase, is a TV lounge room with comfortable sofa bed to accommodate one or two children. 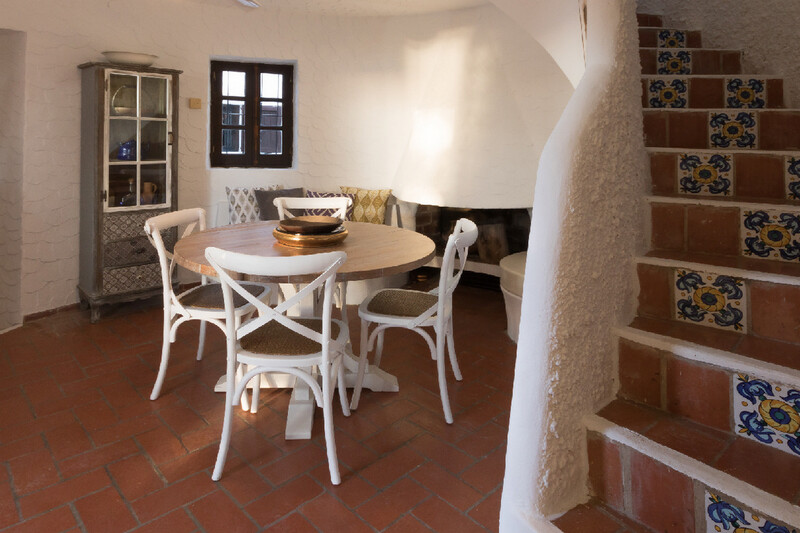 Doors from this circular room lead out to a terrace offering spectacular sea views. 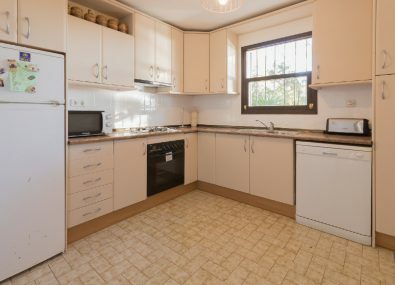 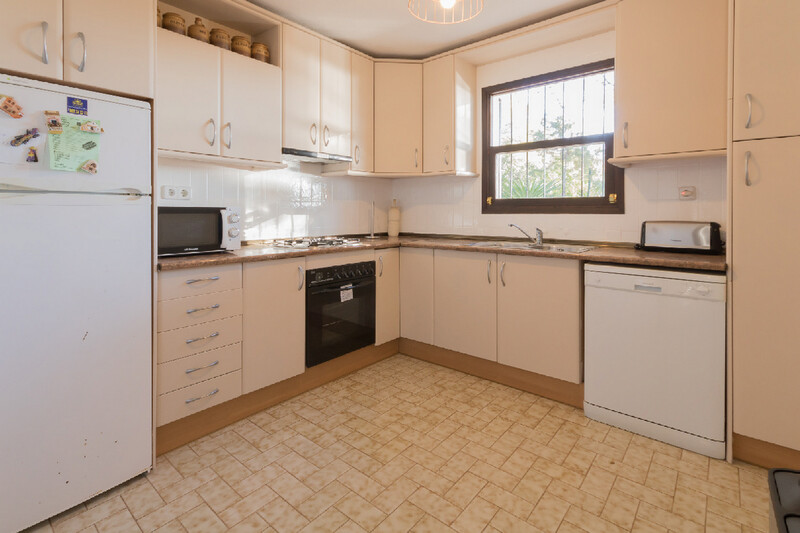 The modern fully equipped kitchen has everything needed, including a juice and Nespresso coffee machine. 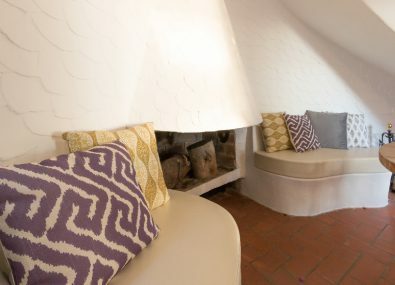 Perfect for early and late season holidays is the feature fireplace in the lounge/dining area. 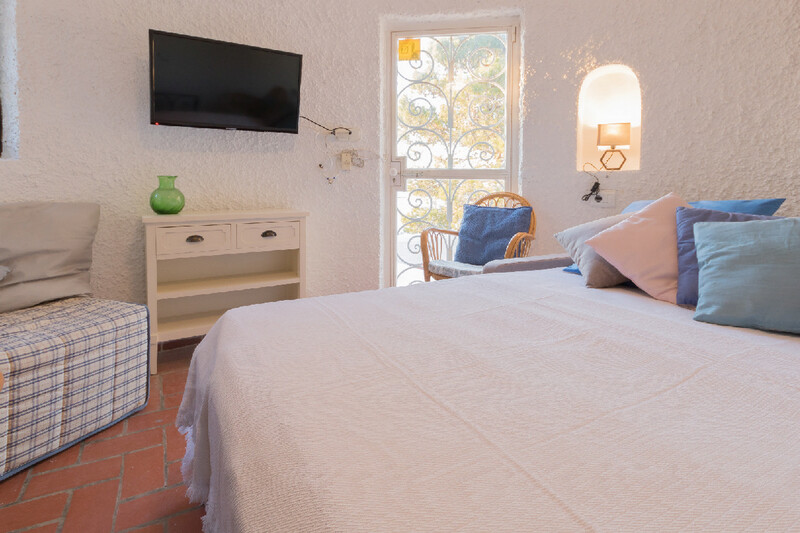 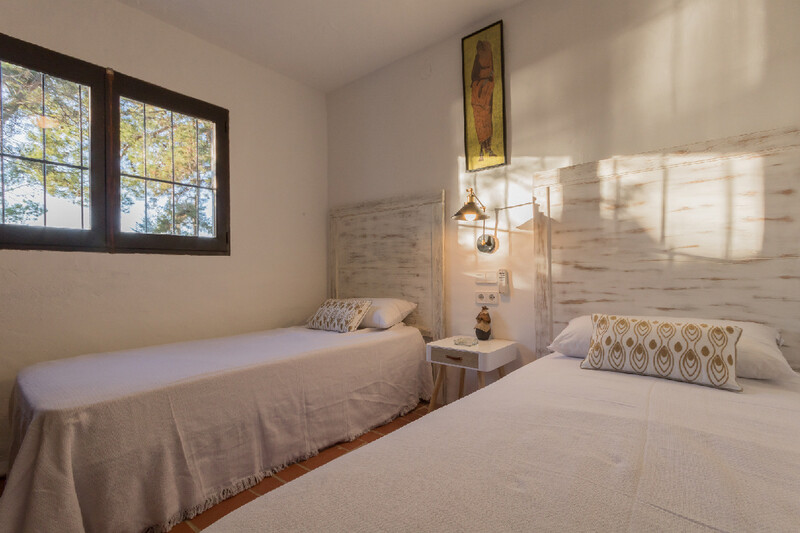 Although the villa does not have air-conditioning, all rooms have ceiling fans and the house benefits from lovely sea breezes. 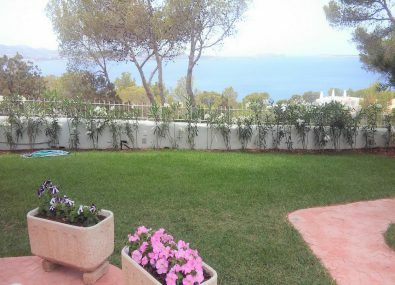 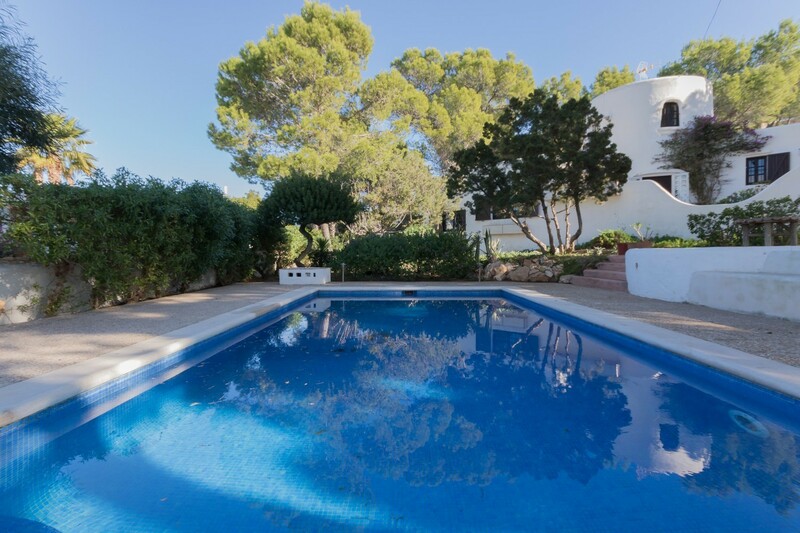 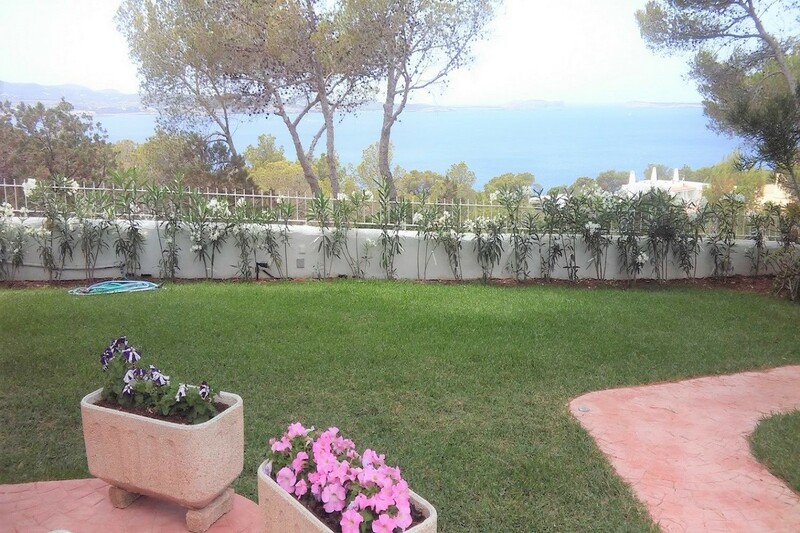 Set within beautiful Mediterranean gardens is the very generous swimming pool (10m x 4m). 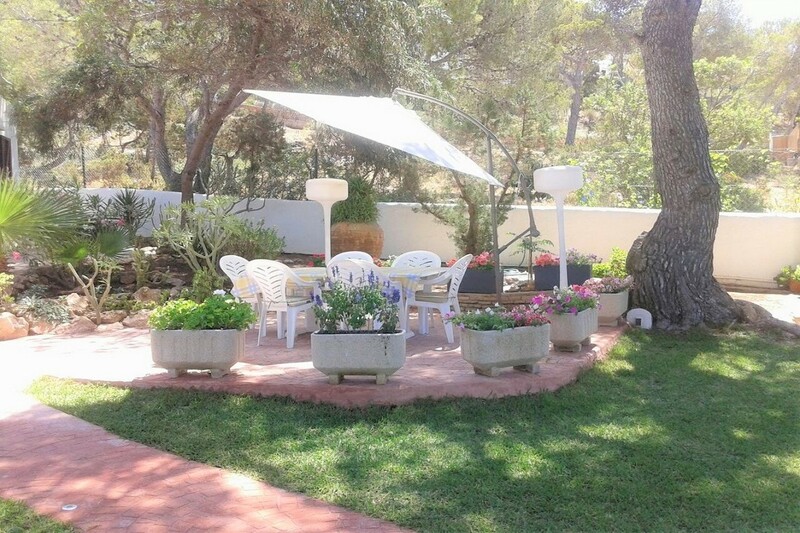 Dining area with BBQ for alfresco dining and also chill out areas within the pretty gardens. 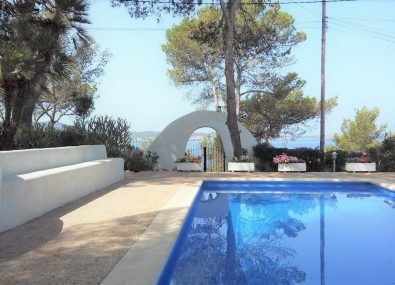 A small independent company based in Ibiza, Ibiza Villas Direct offer exclusive Ibiza villa rental properties with a personal touch. 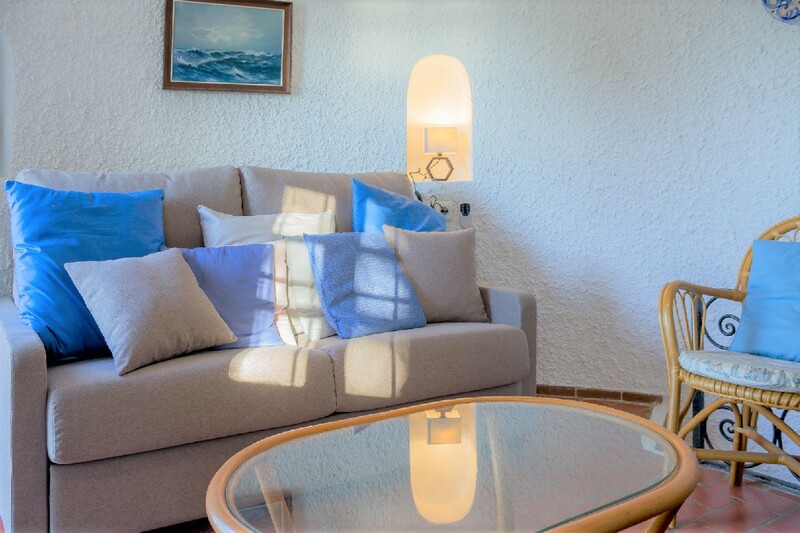 We pride ourselves in being at your service from arrival to departure, while ensuring your stay is as relaxed and hassle free as possible. 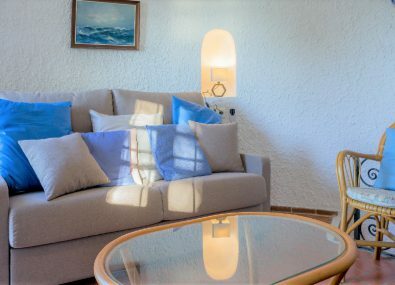 We can arrange car hire, boat charter, chauffeur and also private airport transfers, in-villa massage and beauty treatments; in addition to weddings and much more. 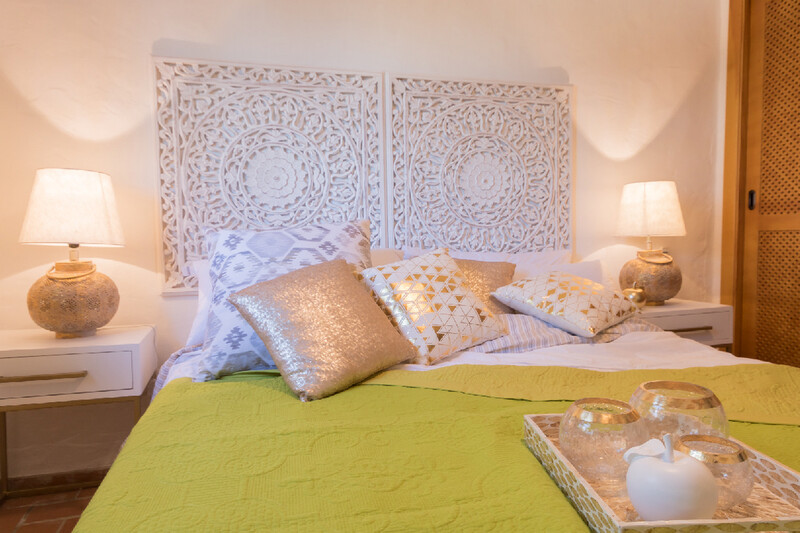 Carefully hand-picked, all villas are equipped with swimming pools, we also have a private selection of high end luxury villas. 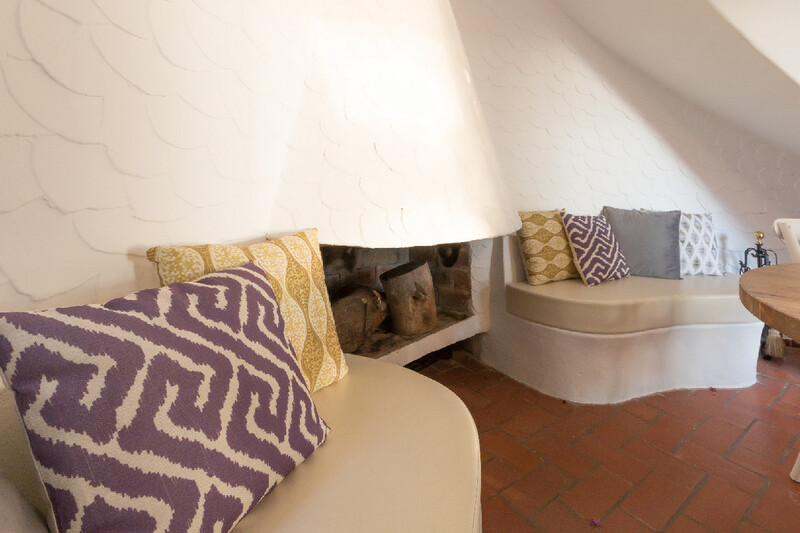 For something extra special please email us for options.